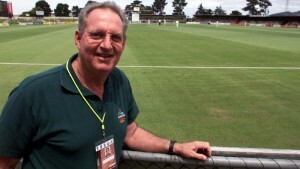 BBC – Legendary West Indian commentator Tony Cozier has died at the age of 75. A familiar and respected voice around the world, the Barbadian will be remembered for a career in TV, radio and journalism spanning 58 years. Born in Bridgetown in 1940, he made his BBC Test Match Special debut in 1966 and also wrote several books. “Tony was the master of going between TV and radio ball-by-ball commentary. He was the master of both,” said BBC cricket correspondent Jonathan Agnew. He played hockey as a goalkeeper for Barbados and cricket as an opening batsman and wicketkeeper for two Barbados clubs, Wanderers and Carlton. But he became a household name through his work with major media organisations throughout the world, including the BBC, Channel Nine and Sky. In December 2011, he was awarded honorary life membership of the Marylebone Cricket Club for services to the game, and the press box at the Kensington Oval in Barbados is named after him.